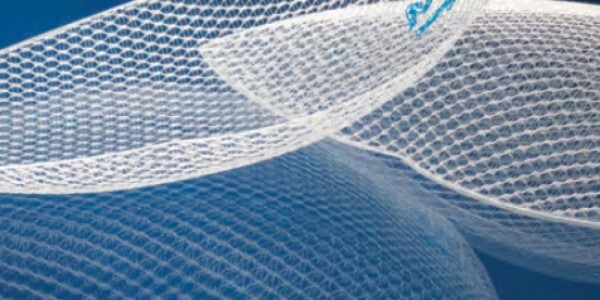 The use of heavyweight mesh for laparoscopic total extraperitoneal inguinal hernia repair is associated with less pain and fewer recurrences, compared with lightweight mesh, researchers from the Netherlands report. “There is no benefit of lightweight over heavyweight meshes,” Dr. Josefina P.J. Burgmans from Diakonessenhuis Utrecht/Zeist, Utrecht, told Reuters Health by email. In open anterior inguinal mesh repair, lightweight meshes have been associated with less pain and foreign body feeling, but these benefits have not been demonstrated in laparoscopic repair, and there is no consensus as to which type of mesh is optimal in these procedures. Dr. Burgmans’ team compared rates of chronic pain, mesh awareness and hernia recurrence, as well as quality of life, up to two years after total extraperitoneal hernia repair with lightweight or heavyweight mesh in a randomized trial of 950 men. Moderate to severe pain at one year was significantly more common with lightweight mesh (2.9%) than with heavyweight mesh (0.7%). This difference persisted at the 2-year mark, according to the May Annals of Surgery report. In multivariable analysis, lightweight mesh was associated with a 3.96-fold higher risk of moderate to severe pain at one year. Recurrence rates in the first two years after surgery were significantly higher with lightweight mesh, even after correcting for other factors. The proportion of men reporting foreign body feeling, testicular pain, and sexual-related pain and discomfort did not differ significantly between the two treatment groups. The authors reported no study-related funding or disclosures.